Read this blog to find out the names of top AMCs in India that you should consider investing in 2019. One of the most asked questions that we get from our investors is, which is the best AMC to invest money in. Well, investing in a fund house which has maintained a good reputation in the market is certainly an important criterion to look at while finalizing the scheme for mutual fund investment, it cannot be the only criteria of judgment. The most critical factors that play an important role in the fund selection are the size of the fund house, the expertise of the fund managers, stared funds, returns of schemes since inception, etc. However, we cannot miss the importance that a fund house holds. So, here are the best mutual fund companies that you can prefer investing in 2019. ICICI Prudential Asset Management Company is India’s one of the premier mutual fund houses which is boasting over 30 lakh investors. The AMC specializes in portfolio management for its clients among all other things. It handles considerable assets under management across diverse asset classes including equity, debt, sectoral funds, etc. Throughout the years, it has truly awarded exceptionally with highest of returns in the long run. Undoubtedly, it has got the name of the best performing mutual funds in almost all the categories. The exceptional team of fund managers in the company believes in following a customer-centric tactic, where they flaunt a blend of expertise and resourcefulness, thus giving investors innovative, consistent, and maximum returns against the market risk. Top fund managers of the AMC include big names of the industry such as Sankaren Naren, Mrinal Singh, Rahul Goswami, and Rahul Rai. Some of the best schemes of the fund house are ICICI Prudential Bluechip Equity Fund, ICICI Prudential Nifty Next 50 Index Fund, ICICI Pru Equity & Debt Fund, ICICI Pru Multi-Cap Fund, ICICI Pru Mid Cap Fund, etc. It is one of the fastest growing mutual fund houses in India which has been performing strongly with its presence in over 160 cities. There are approx 200 schemes available with RMF, and it is dealing with five mutual fund classes which include equity funds, debt funds, gold funds, retirement funds, and liquid funds. Reliance Mutual Fund has over 20 years of experience in the industry. Coming to its list of fund managers, it has got experienced people like Mr. Ashwani Kumar, Mr. Sailesh Raj Bha, Sanjay Parekh, Mr. Samir Rachh, Ms. Meenakshi Dawar, etc. It holds around 83.99 lakh folios and the best schemes from the fund house include Reliance Large Cap Fund, Reliance Pharma Fund, Reliance Hybrid Bond Fund, Reliance Equity Hybrid Fund, Reliance Small Cap Fund, etc. This AMC has left no stones unturned in serving investors from all walks of life. For any financial goal, be it short-term, long-term, retirement, tax saving, medium term, HDFC Mutual Funds is the name you can trust. It has got major products in its bucket with top-star ratings from CRISIL. Investors with different risk profile, income, and investment horizon are served with a gamut of choices in diverse asset classes. It is a prominent player in the industry which holds a proven track record of reliable fund performance across diverse asset classes and market cycles. Some of the best fund managers that are associated with this group are Mr. Prashant Jain, Mr. Chirag Setalvad, Mr. Shobhit Mehrotra, Mr. Vinay R Kulkarni, and Mr. Anupam Joshi. HDFC Small Cap Fund, HDFC Balanced Fund, HDFC Short Term Debt Fund, and HDFC Top 100 Fund are few of the best mutual funds from this AMC. Mirae Asset Mutual Fund was originated in Asia in 1997. It holds the global capacity to deliver the best of services to investors across the world. Currently, it holds a total of 6400 associated involved with it. It is planning to expand its presence in the nation. 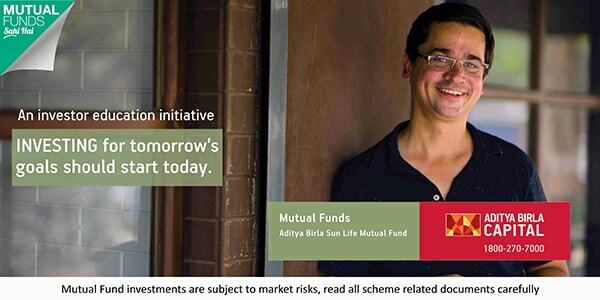 The key attributes that one gets to see with Mirae Asset Mutual Fund are Stability in Performance and Fast Growth. Some of the popular products that you get to invest in Mirae Asset Mutual Fund are Mirae Asset India Equity Fund, Mirae Asset Emerging Bluechip Fund, Mirae Asset Tax Saver Fund, and Mirae Asset Hybrid Equity Fund. Being the fourth largest asset management company in India in terms of assets under management, ABSL Mutual Fund is considered to offer the most dynamic and exponential growth in the mutual fund industry. It has a variety of mutual fund products to suit diverse investors’ needs suiting their risk appetite and other requirements. The fund house deals in 4 main fund classes, namely Equity Funds, Debt Funds, Income Funds, and ELSS Funds which all with good ratings. It has completed more than 20 years in its journey to offer wealth creation solutions to its customers. Among its various efforts include user-friendly services, smart solutions, and conveniences which make mutual fund processes simple for both investors as well as distribution partners. Some of the top fund managers of the AMC are Satyabrata Mohanty, Dhaval Gala, Mahesh Patil, Mohit Sharma, and Pranay Sinha. The schemes of ABSL MF which have made a different space in the industry include Aditya Birla Sun Life Tax Relief 96 Fund, ABSL Corporate Bond Fund, ABSL Banking, and Financial Services Fund, and ABSL Equity Fund. There are a bunch of parameters on the basis of which a mutual fund investor should choose an AMC to invest with. Checking the vintage of the fund house and its track record, and knowing all about the team you’re trusting your money with will help you to make the right decision of investing in the ideal scheme as per your needs. The companies mentioned above are all selected after in-depth research and analysis by the experts at MySIPonline which will principally be responsible for driving the mutual fund and making decisions that benefit the investors. For more details on this, consult us directly via call or email. Also, we are just a message away in answering your query concerning regular funds. Just drop it here in the form provided below, and we will revert you back asap.